Great Opportunity in Andalusia for 2019/20. You are here: Home / Job Offers / Great Opportunity in Andalusia for 2019/20. 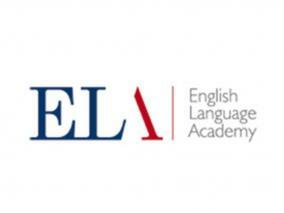 ELA, a well-established school, in Ubeda, Jaen, is looking for full-time EFL teachers to begin late September 2019. We are looking for teachers to fill different roles: one is infant/young learners focused and the other is for general classes from primary through to teens and adults, including some Cambridge exam preparation. If you are interested in being part of a great team of teachers and would like to live in a beautiful, historic Spanish town with a high quality of life, low cost of living and well-connected to the main cities in Andalusia, then this job is for you! Maximum of 12 students in a class. We are dedicated to innovation and ongoing training and also believe there should be a positive social element to your work, so as well as mixing with ex-pat teachers, you’ll make Spanish friends here. We’re looking for someone who is passionate about teaching, positive, flexible, organised, independent and outgoing. – Starting gross salary of €1350, but may be more, depending on experience and qualifications. – All local and national holidays paid including 2 weeks at Christmas and 1 week at Easter, as well as holiday pay at the end of June. – Full Social Security contract and insurance cover. – Accommodation paid for the first week and assistance in finding a flat. – Settling-in allowance of €200 paid in your January salary. – All Spanish paperwork and permits paid for and arranged by the school. – Attendance to national teaching conferences in Madrid and Seville paid for and accommodation and travel subsidized. Apply now by sending your CV, a recent photo and a cover email to Paul Hillman: recruitment@elaubeda.es and we will send you full details of the position on offer.